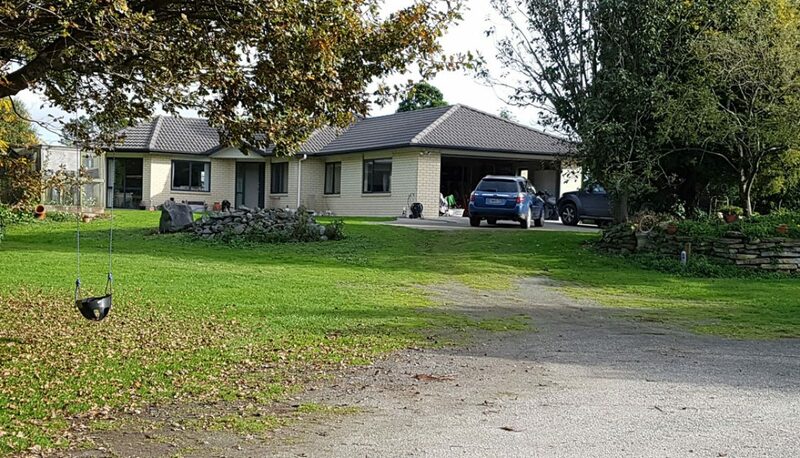 Nestled on 4.9016 Ha (12.1Acres approx) mainly flat to easy sloping with 2 lower paddocks of river flats, is this modern 6 years old three bed room plus office nook brick and tile home. Positioned to capture the mountain views from the open plan lounge/dining/kitchen area. The property also boast numerous implement sheds with high stud door frames for all those toys. One of these outbuildings has a kitchenette, bathroom, shower and hot water. There are also 2 bird aviaries plus a chook run, fruit and walnut trees. Take this opportunity to begin the “Good Life” with your family. The Waiongana stream meanders down the rear boundary, this is a great place for picnics or you could do a bit of fishing? At present part of the land is leased to a market garden, however at the end of the growing season you may be able to either have them stay or revert to grass.